Shop our PrintsWell affiliate website for the most up-to-date product selection and current promotions, giving you the best discounts available. 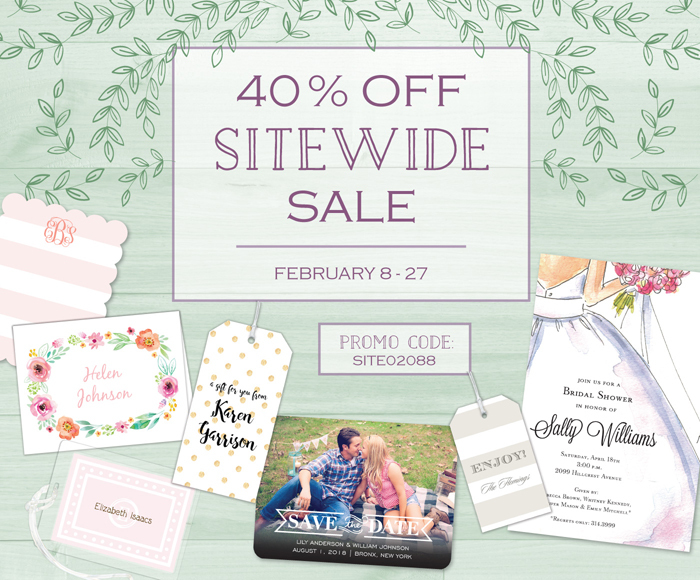 Save 40% off EVERYTHING on our PrintsWell Site. Offer good through 2/27/18. Shop for Embossed Graphics Stationery products on our affiliate website for the most up-to-date product selection and current promotions, giving you the best discounts available. CLICK HERE to see our Embossed Graphics Stationery Website. Embossed Graphics Stationery – Save 50% on STATIONERY UPGRAGES – Return Address, Envelope Linings and Cotton Paper | FREE FedEx Ground Shipping on Orders of $99 or more.